This was the very reason he strove to excel and be man rather among fellow men. He moved up rapidly. After about a year at Saint Peter’s Teacher’s Training College, Akure (Second Republic Deputy Governor of Ondo State, Akin Omoboriowo was his classmate), and Fasehun was thrown out because he didn’t succumb to Catholicism’s creed. But he was top of his class all the same. He was admitted into form Two at Ondo Boys High School in 1956. After only two and a half years, Fasehun sat for the Final examination and passed simultaneously grade one and earning distinction in English Language. It was a record not set since the school was created in 1919! You either had distinction in English but an overall grade one rating. Fasehun’s brother redeemed a pledge to sponsor the young student to the United Kingdom to further his studies if he passed. And so on September 30, 1958, Fasehun went to London, where he studied science at Blackburn College and later proceeded to Aberdeen University College of Medicine for six years. He was also at the Liverpool Postgraduate School and the Royal College of Surgeons for his fellowship. Later in 1976, he studied acupuncture in China under a joint World Health Organization and United Nations Development Programme Scholarship. Back home in 1977, he set up an Acupuncture Unit at the Lagos State Teaching Hospital, LUTH. But Fasehun resigned in 1978 because “too many people were dying (there at LUTH) ….. and my standard of medical practice was not feasible in LUTH”. He immediately set up the Besthope Hospital and Acupuncture Centre in Lagos. It was once reputed to be Africa’s first for the Chinese medical practice. It is from this perspective that late Moshood Abiola used to address Fasehun as Political Doctor. Indeed, ***QFasehun himself says that he is in politics because he wants to improve the life of the ordinary Nigerians. According to him, the medical profession shows you the end result of want, hunger, poverty, suffering, ignorance, superstition etc, etc. He says he was once a victim of all these and wouldn’t want fellow Nigerians to suffer the same fate***Q. He is an executive member of the Campaign for Democracy, CD. In the thick of CD’s crisis in early 1994, several factions put pressures on Fasehun to assume Chairmanship. He declined, asserting in characteristic humility that “one can work effectively and successfully for the uplift of any organization by being in the background”. He then campaigned for Dr. Beko Ransome-Kuti to be returned. 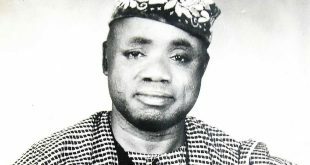 Fasehun in 1993 founded the Movement for Social and Economic Justice MOSEJ, emerging as its National Chairman. He is the founder of Oodua People’s Congress whose agitation against injustice and extrajudicial killing as well as resistance to perceive ploy to waste the Yoruba Nation has become legendary. A noiseless but adroit negotiator, Fasehun pointedly rejected Head of State Sani Abacha request to have him serve in his military dictatorship. Fasehun say’s he “is a patriotic democrat who should be seen struggling against those who have continued to wrench sovereignty from our people rather than join them”. His relationship with labour has remained excellent. In 1989 when Babangida lifted the ban of politics, Nigerian workers put together the Nigerian Labour Party and had Fasehun as their presidential flagbearer. Although this man of eternal youth is no longer in active in politics, he still contends for justice no longer and democracy having been in and out of detention countless times for his front-row role in street and undercover agitation for good governance. He was one of the three leaders of the National Democratic Coalition, NADECO who staged the rally for Abiola after the latter claimed his mandate as President of Nigeria. He is married with children. His hobbies are walking, reading, dancing and listening to classical music. 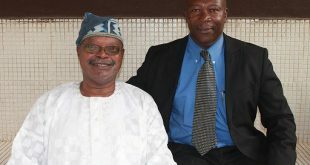 Dr Raphael James Wrote -Happy 80th birthday to Dr. Frederick Isiotan Folabora Fasehun – Medical doctor, politician, human rights activist, founder of Oodua Peoples Congress, (OPC), Consultant anaesthesiologist and Acupuncturist. 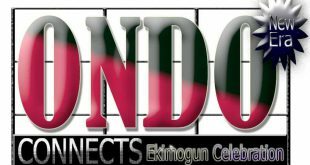 Born on September 21, 1935 in Ondo, Ondo State Nigeria. Studied at Blackburn College, Aberdeen University College of Medicine, Liverpool Postgraduate School and Royal College of Surgeons. In 1976, he studied acupuncture in China under a joint World Health Organisation (WHO) and United Nations Development Scholarship Program (UNDP). In 1977, he set up an Acupuncture Unit at the Lagos University Teaching Hospital (LUTH). He resigned in 1978 and immediately set up the Besthope Hospital and Acupuncture Centre in Lagos. The Acupuncture Centre once earned a reputation as Africa’s first for the Chinese medical practice. In 1989, when Military President Ibrahim Babangida lifted the ban on politics, Nigerian workers, formed the ‘Nigerian Labour Party’ and invited him over as their presidential flagbearer, which he accepted. In 1993, he founded the ‘Movement for Social and Economic Justice’ (MOSEJ), emerging as its National Chairman. 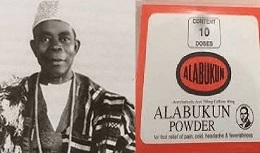 He was the founding president of the Oodua Peoples Congress (OPC), also known as the Oodua Liberation Movement (OLM) or the Revolutionary Council of Nigeria (RCN) to actualize the annulled mandate of Chief MKO Abiola, who won the presidential election of June 12, 1993 but was barred from office. He led the OPC until 1999 as a united front, before the factional break-out of the organization, due to his absence. Read more about him in our 22-page pull out on him with photos you have never seen anywhere before about him.